Sandhya Rani, a receptionist for a company in the Secunderabad area, was on her way home from work around 6.45 pm when Karthik came on a motorbike and stopped to speak to her. They had worked together about two years ago. Investigations have revealed accused had been harassing Sandhya for months. A 24-year-old woman has died after she was set on fire near Hyderabad yesterday by a former colleague who was allegedly obsessed with her and had been stalking her. Sandhya Rani, a receptionist for a company in Secunderabad, was on her way home from work around 6.45 pm when Sai Kartik followed her on a motorbike and stopped to speak to her. Kartik, 25, allegedly demanded to know why she wouldn't marry him. They were talking heatedly when Kartik suddenly pulled out a bottle hidden in his shirt and poured kerosene on Sandhya. He then lit a match to set her on fire and drove away before it could register on witnesses, the police say. On spotting the young woman in flames and screaming on the road, people rushed to her and put out the fire. But Sandhya had suffered more than 60 per cent burns by then. She died in hospital this morning after giving a dying declaration to the police, in which she alleged that Kartik flew into a rage when she refused to marry him. "Sandhya was a capable young woman who has gone to college. When she refused to marry him, he could not take it,'' police officer Sumathy told NDTV. Kartik, a school dropout, had worked in Sandhya's firm two years ago but had lost his job. He had allegedly been chasing and harassing Sandhya for months. 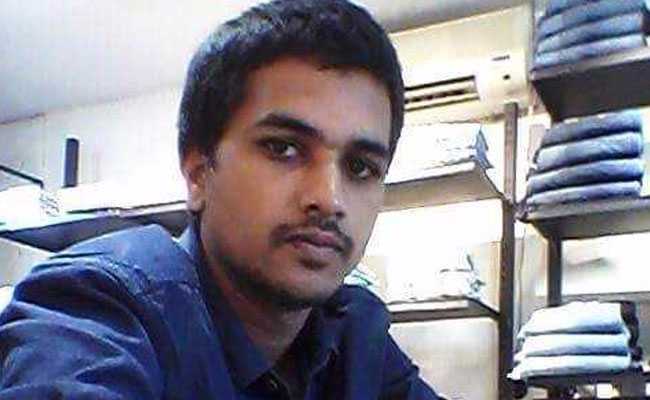 Sandhya's boss Jagan Reddy had even tried to help, asking Kartik not to harass her during one of his phone calls to her. Kartik reportedly told the police that she didn't reciprocate his feelings and had returned a mobile phone he had gifted her. "Karthik had no job for the past year and had been drinking a lot. He had been harassing her, pressing her to marry him and quit her job," said officer Sumathi. The two had recently argued on the phone, the officer said. Kartik has been charged with murder, stalking and also under a law on atrocities against Scheduled Caste/Scheduled Tribes.